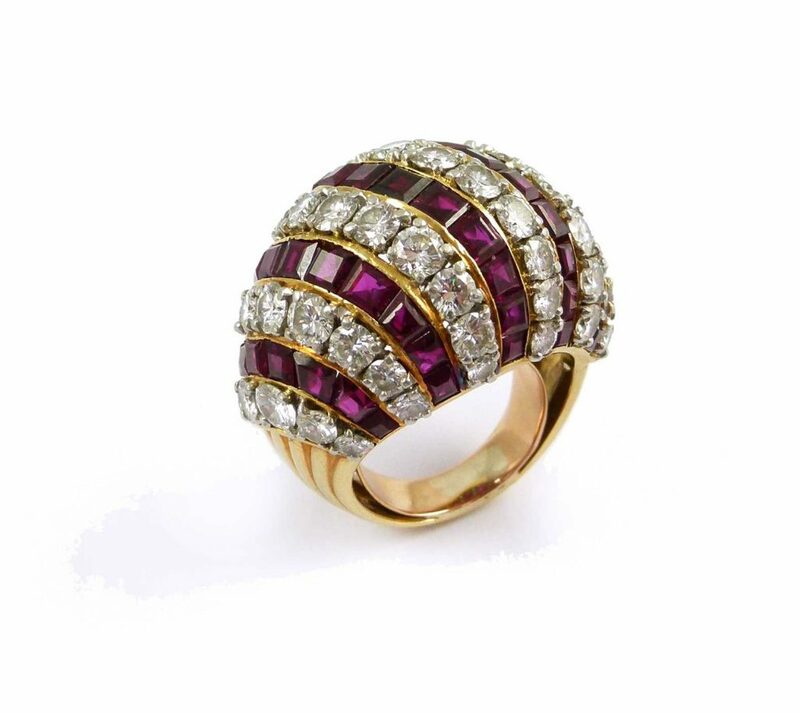 Rings are consistently the most popular type of jewelry, and they have been at the top throughout time. 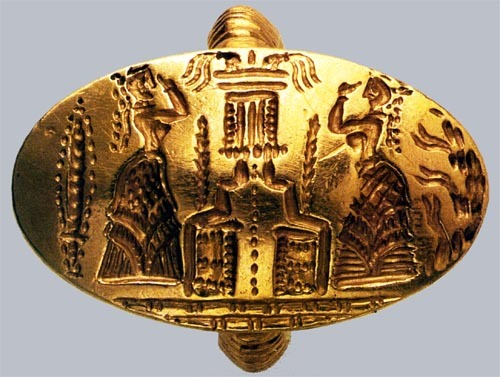 A Minoan seal or signet ring. 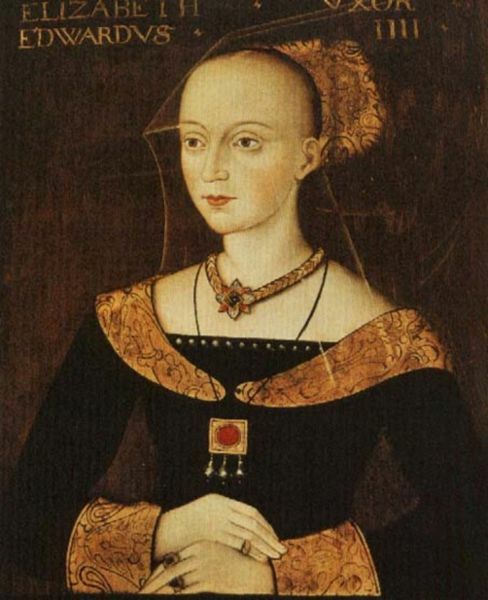 This portrait of Elizabeth Woodville (1437-1492), the Queen consort of King Edward IV of England, illustrates the fashion for wearing multiple rings, not all of which are worn below the first joint of the finger. 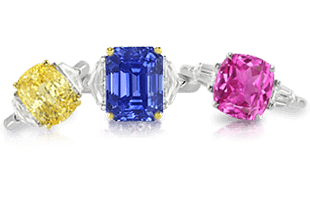 Rings are the most popular item in today’s jewelry market. 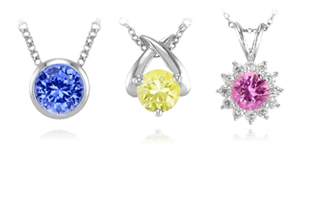 They’re convenient to wear and elegantly display gemstones and precious metals. Rings have been used for centuries as amulets and talismans, as well as religious and medicinal objects. They have been worn on any and all fingers, including the thumb. 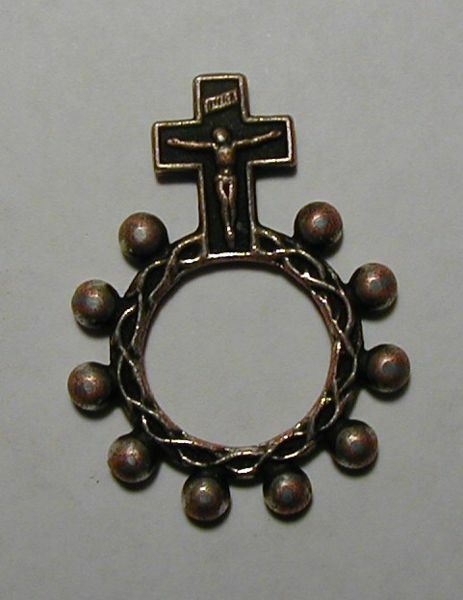 A rosary ring has ten indentations and a cross on the surface, representing one decade of a rosary. The rings are used to keep track of place in the prayer by rotating the ring on a finger and feeling the marks. Rings took on many practical and ornamental purposes throughout history. Only three cultures have been discovered to have not used rings in any form: the Assyrians, the Celts, and the Eskimos. Besides those, every other culture has used rings in some form, if not many forms. Throughout time, rings have taken on spiritual and healing properties, connotations of magic, they have served as currency, they could be celebratory or even designed to be worn only in certain seasons. 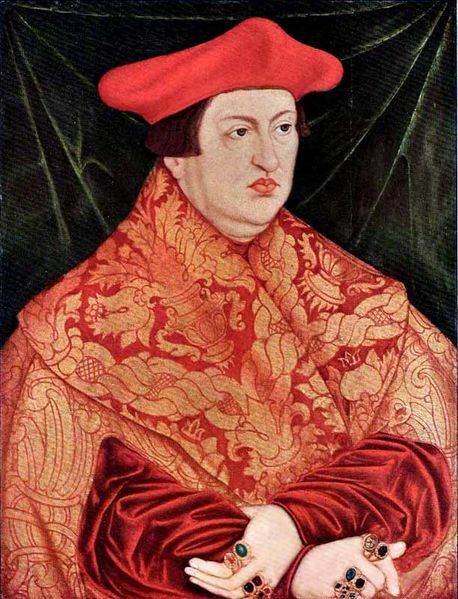 Heavily ringed Cardinal Albert of Hohenzollern, Archbishop of Mainz and Magdeburg in a 16th century portrait by Lucas Cranach. In the past, rings were attached to perfume flacons, spyglasses, and handkerchiefs. They were used to house lethal doses of poison. They doubled as keys to safe boxes and embodied the seal of power and authority. 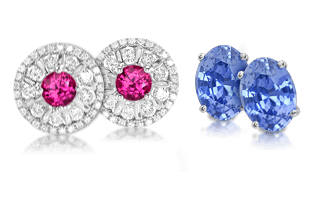 Rings also represent continuity, commitment, and loyalty. For this reason, they are important symbols in our present day engagement and wedding traditions. 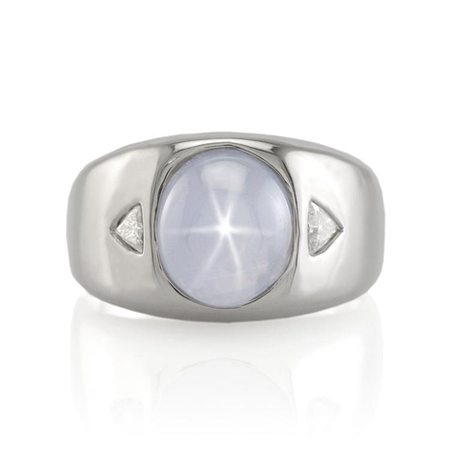 A light blue star sapphire men’s ring in platinum. In ancient times, men and women wore an abundance of rings to show their good taste, to protect themselves from evil, and to display their wealth. While women today are free to wear as many rings as they wish, men are typically more reserved in their adornment. 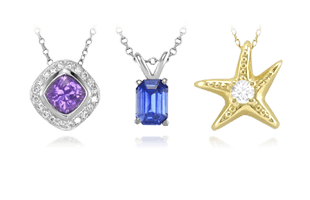 However, trends indicate that men all over the world are wearing more jewelry, and men’s rings are occupying more space in jewelers’ inventories. As a history of rings has shown, there is no limit to the type of ring or style, as we will explore further in Rings | A Guide to Elements of Style and Settings next.